Maritime Vinyl: Letterman and Zevon! There are two types of people in this world. Jay Leno fans and David Letterman fans. We Letterman fans are a funny bunch with a great sense of humour who knows when to tune it down and take charge when something serious comes along. The Leno fans are just a twitchy bunch of guys who brag about their cars and how big they wish their chins were. I have been a huge Letterman fan my entire life and even ventured into his studio audience a few years back. This I will discuss in a post to come but this post is about Letterman’s relationship with who I think was one of the best in the music business. No not Paul Shaffer (who in his own right is amazing and deserves many of his own posts… to come!!!) This post is dedicated to the man who Letterman was a huge fan of, who would help Letterman whenever he needed and who Letterman would return the favor in any way he could. He was a man who Letterman thought of as a friend and who he was consistently inspired by. 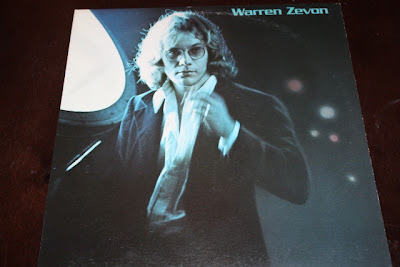 This post is about the late, great, Warren Zevon! 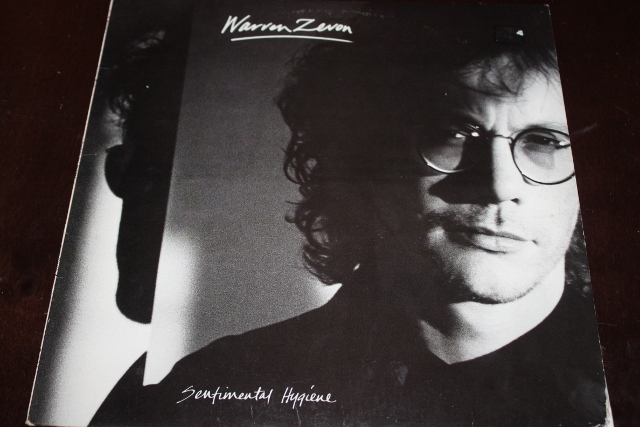 Warren Zevon was first a guest on “Late Night with David Letterman back in 1982. He opened this show with a rocking version of “Excitable Boy”. Just the excitement that can be seen in Paul Shaffer who is playing along is a sign of the beginning of a long relationship. 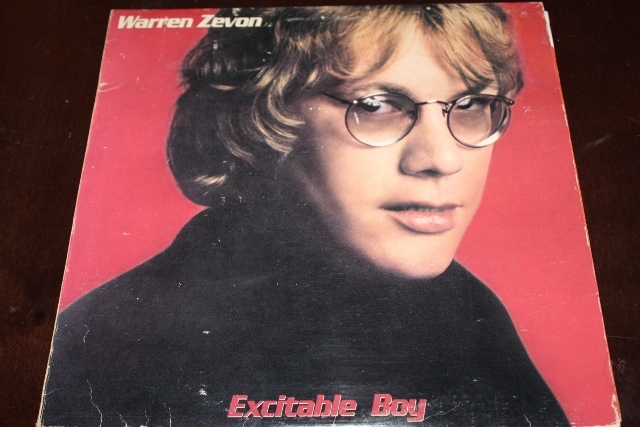 “Excitable Boy” is one of my favorite Zevon songs, written about a boy who does everything from rubbing a pot roast all over his chest to killing his high school prom date. 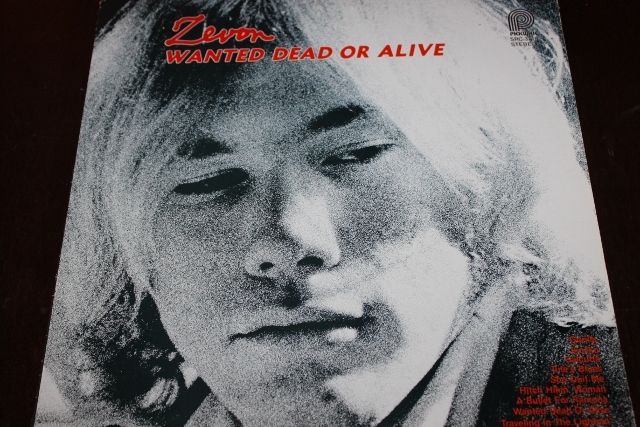 Warren Zevon is consistent with this dark humor in many of his songs. Of course “Excitable Boy” is the first song that Letterman asks about and Zevon fires back at Lettermans jokes in slick funny fashion without even missing a beat. This too was the beginning of a long great relationship. The episode with Warren that is most memorable for me is sadly his last appearance. After Warren Zevon was diagnosed with cancer David Letterman had him on the Late Show as his sole guest for the entire hour. You can see the obvious depression and sadness in Warren’s face and hear it in his voice. Knowing he only has a small amount of time left it is apparent he is having a hard time coming to terms with his indefinite demise as well as know that this will be his last appearance with Letterman. Warren opens the show in true Warren Zevon dark humor style by playing his song “I’ll sleep when I’m dead”. He talks openly about his diagnosis throughout the episode and discusses how he never saw a doctor throughout his life except when he was diagnosed. He never trusted doctors and only talked to his dentist when he had any health concerns. It was his dentist who told him that he finally needs to see a doctor who ended up giving him the diagnosis. He talked as a man who had no regrets and when asked by Letterman what advice he would like to give others he replied with “enjoy every sandwich” (couldn’t have put it better Warren!). What a sad ending to a great professional relationship between himself, Paul and Dave. Letterman had requested that Warren play “Roland the Headless Thompson Gunner” which he did. This is my favorite performance on television period. He plays this song so perfectly and with such emotion. Just like a guy who knows he has nothing to lose. The best part of this performance to me is that he has the CBS Orchestra backing him up. At one point he turns around for a second and looks at Paul Shaffer and they just give each other a look of appreciation for each other. After the show Warren even gave Letterman his guitar which was the one that he always used when he played on his show. Letterman of course burst into tears. I can’t even imagine how hard this could have been. Warren Zevon had one hell of a life and he released many solid albums! I can put a Warren Zevon record on no matter what mood I’m in and it just seems to fit! There are few artists I can say this about!